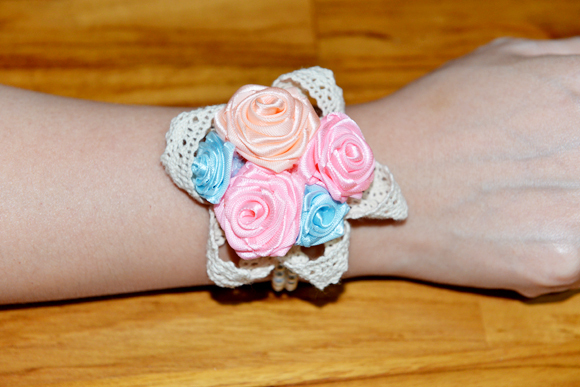 A lovely and elegant peach, pink and light blue combination wrist corsage. 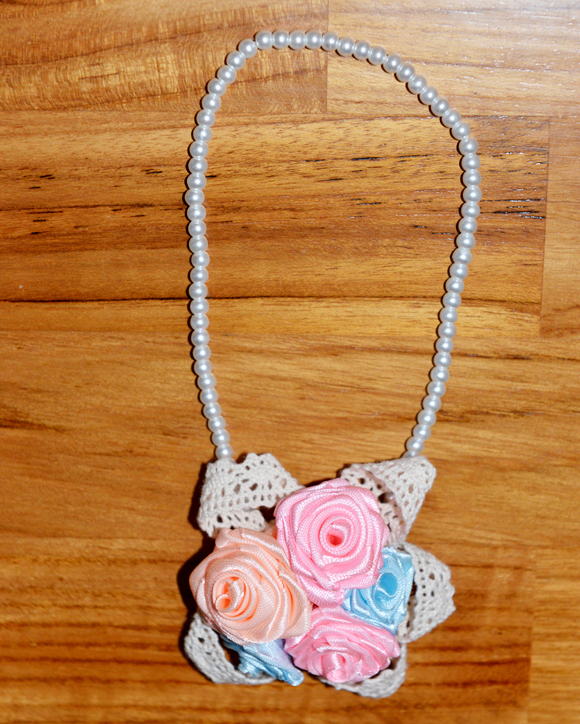 They are three big and two smaller handmade ribbon roses. 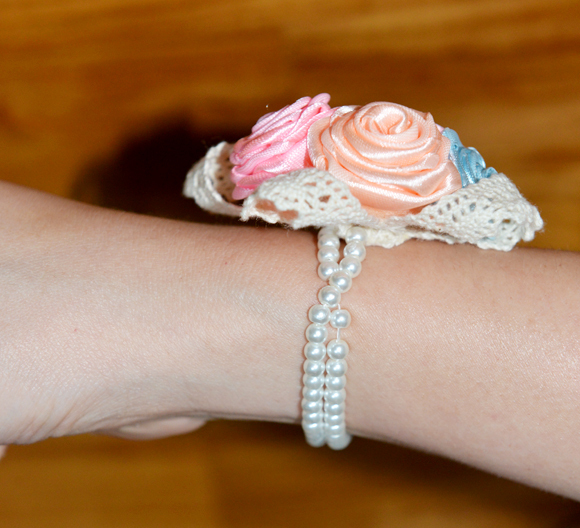 There is a stretchable long pearl band attached to wrap the rose around your wrist twice. Please email me with details of your colors. I specialize in custom design work. While this would be lovely for bride or bridesmaid, it can also be worn for any special occasion. Fits most any wrist as the band is stretchable. Tan these are just gorgeous, love the combination of lace and flowers.. Nice to see you back crafting again..